I had a dish that surprised me the other day at a noisy and spirited restaurant in Highland Park, Los Angeles called The York. It combined two ingredients I love, but had never had together: beets and burrata. Burrata is that not-mozzarella-but-tastes-like-it cheese. For an exceptional explanation of how burrata differs from classic mozzarella, I recommend you read Nora Singley at thekitchn.com. If you don’t make it to the tutorial, though, suffice it to say that burrata in English is “buttered” and this is a raggedy, buttery version of creamy mozzarella encased in a shell of the more elastic variety. It comes in a tub, like fresh mozzarella. 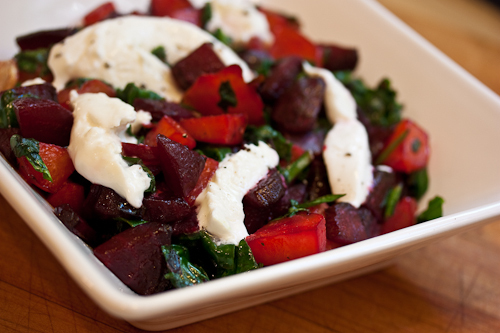 In a pinch you can also use a fresh mozzarella, but it won’t melt as well over the hot beets. 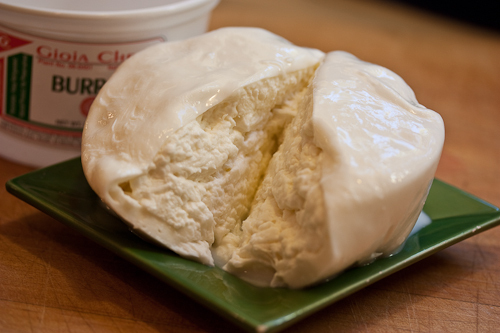 It is said that burrata was created to use up the “rags” of the mozzarella making process — a sort of rag bag of cheese! I used both golden and ruby colored beets. The flavors are very close, but the ruby might be a touch sweeter. 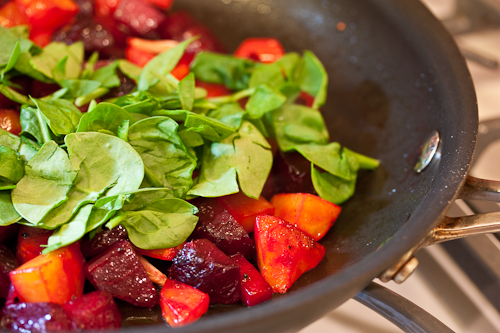 Save the beet greens and cook them like Swiss chard or use them in soup. 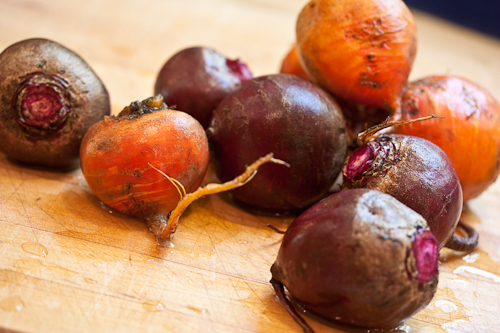 This is a very quick dish to put together once the beets are cooked — plan on roasting the beets even a day or two ahead to make this in just a few minutes. Preheat the oven to 400°F. Wash and trim the tops from the beets, leaving a little to keep the beets intact. Leave the root end attached. 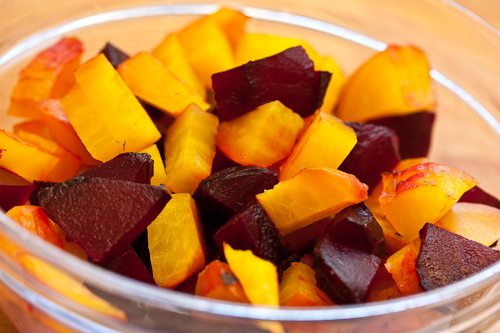 Arrange the beets on a baking sheet and roast until tender when pierced with a skewer, about 1 1/2 hours. Remove from the oven and allow them to cool. Pull the skins off the beets and pare off where needed. 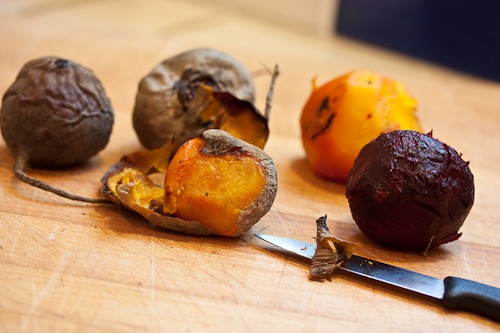 Cut the peeled beets into bite-sized pieces. 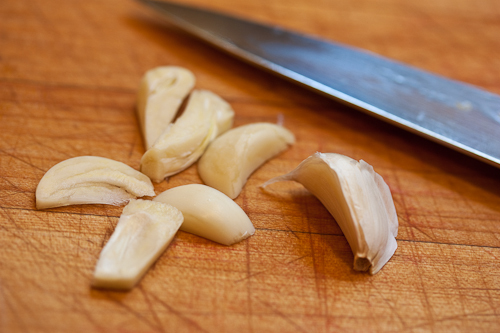 Slice the garlic into long, thin slivers. 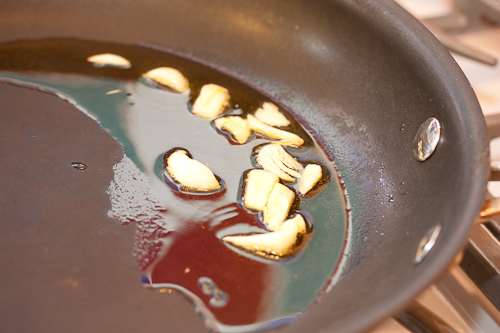 Heat the olive oil over medium-low heat and gently cook the garlic for 7 to 10 minutes, until it is aromatic and slightly coloring. 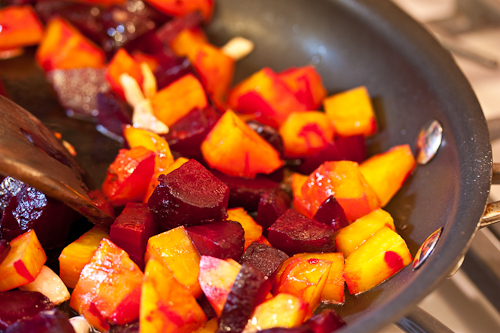 Raise the heat to medium-high and add the beets. Sauté them in the hot oil for 7 to 10 minutes, tossing to cook all sides. They will start to color and get a little bit of a sear on the outside. Add the chopped spinach and salt and pepper to taste. Continue cooking until the spinach is wilted, another 3 minutes or so. 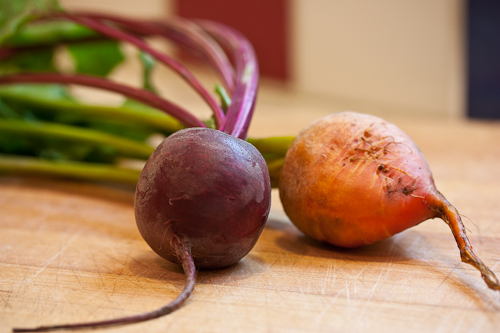 Season if needed with a little more salt and put the beets in a serving bowl. Top immediately with large chunks of the burrata. Grind a little fresh pepper on top and serve hot. Too bad burrata only lasts a couple of days — that means you’ll have to have the other half the next day with a crusty loaf of bread and some fresh sliced tomatoes. What time do we eat?